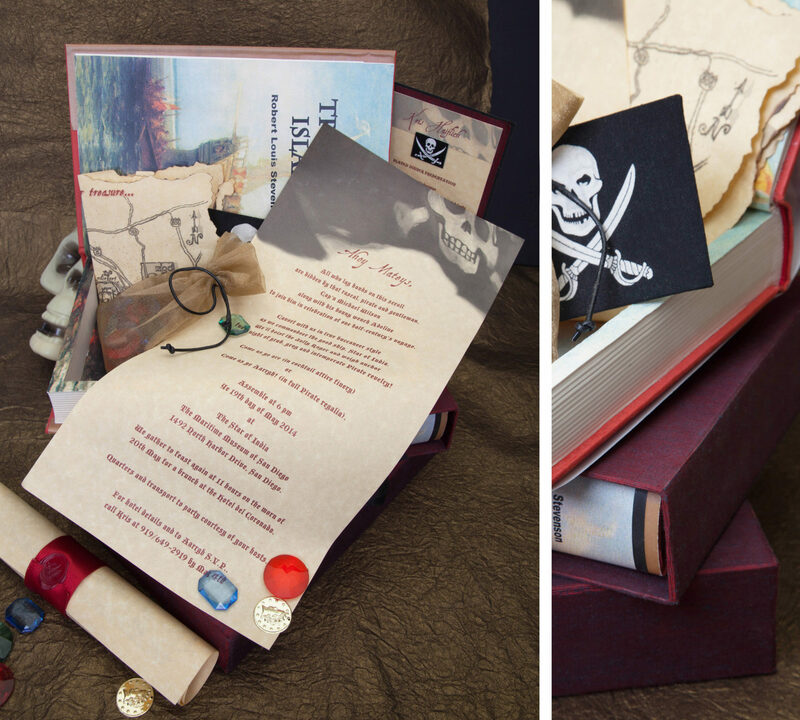 Ye never spied an invitation like this, mateys! 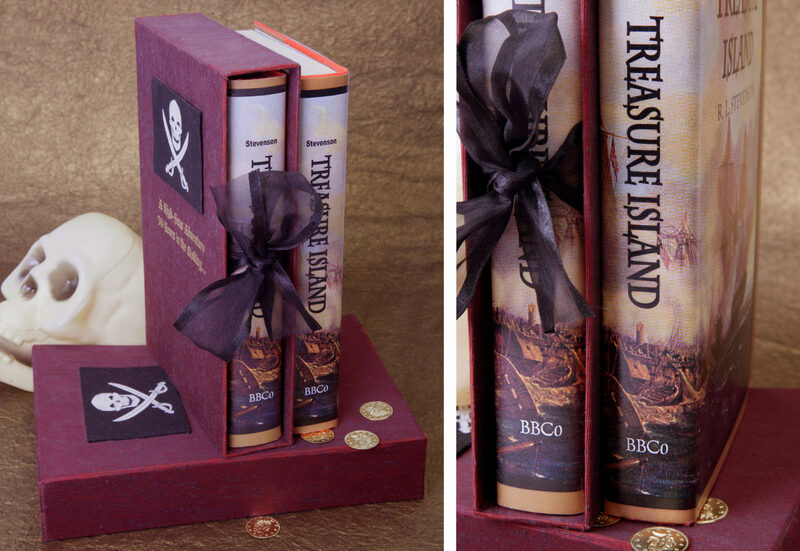 The custom silk-covered book sleeve is engraved with gold foil, embellished with the Jolly Roger and tied with a ribbon closure. 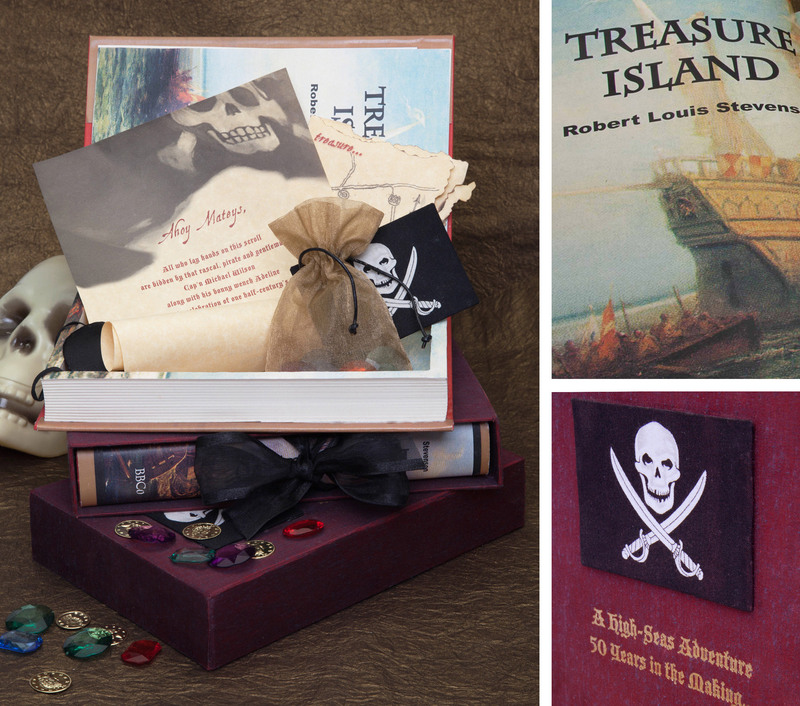 A hard-cover edition of Treasure Island slips out of the case, and when opened reveals the pages have been hollowed-out to hide party booty: An invitation printed on vellum, a map with singed edges, a buccaneer’s eye-patch, gems and doubloons that set the mood for the revelry to come. Guests couldn’t wait to AaaarSVP to this swashbuckling celebration!